Consider all factors, such as guaranteed income, investment yields and fluctuating inflation rates, to help to manage your future finances. A big challenge during your years in retirement will be to create a sustainable income plan for yourself. You will begin with the known income sources, social security and pension payments; then, you look at your cash savings and invested assets, like 40l(k) and IRA accounts. Your invested money will need to provide you the inflation-based increases for your income plan. Each of your assets needs to have a primary purpose. For example, when you purchase a home, the primary purpose is shelter. When you purchase an investment (stock, bond, mutual fund, ETF, UIT, partnership, etc. ), it, too, needs to have a primary purpose for your portfolio. Each individual investment will be chosen for what it offers to you, perhaps a 3 percent annual yield or the potential for share appreciation. 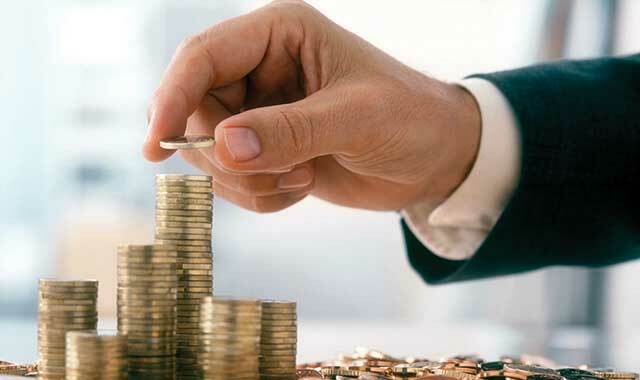 Broad diversification of investment assets can assist you in allocating your portfolio to address your need for income, for your withdrawal and use. Keep in mind that there is no assurance that a diversified portfolio will enhance overall returns or outperform a non-diversified portfolio, and it does not protect against market risk. In favor assets change from year to year. The financial marketplace reacts to changes in inflation, taxation, government policy, employment and the economy. Therefore, you need to have the flexibility to make annual adjustments in your portfolio. When a company stock pays a dividend, the dividend payment is determined by the number of shares which you own. Bond interest payments are determined by the coupon rate of the bond. The payment of dividends is not guaranteed, and the company may elect to reduce or eliminate payment of dividends at any time. These income payments do not fluctuate with the current market changes in the value of the stock or bond. Most stock dividends and bond interest is paid on a quarterly basis. Once you have set up your portfolio to provide a consistent annual yield from income-producing investments, you can balance your portfolio with adding investments that will offer the potential for growth. In years where your portfolio has appreciated in value, you now have the option to liquidate a portion of the appreciated assets, spend it or invest those dollars into additional yield-producing assets for future income. Remember that the overall value of the portfolio could also decline based on market conditions. Investing with a purpose can assist in managing the volatility with your retirement income plan. An income plan can help you to make informed decisions each year, for distributions, taxes, asset allocation and the effective transfer of assets to your heirs. Patricia A. Kinnare-Musachio is an LPL Investment Advisor Representative and Certified Income Specialist at Kinnare & Associates Financial Consultants, LLC, 1701 Woodfield Road, Schaumburg. Securities offered through LPL Financial, Member FINRA/SIPC. This entry was posted on Wednesday, July 31st, 2013 at 12:00 pm	and is filed under Personal & Financial Strategies, Top Posts. You can follow any responses to this entry through the RSS 2.0 feed. Both comments and pings are currently closed.